Selective catalytic reduction (SCR) technology is not new — it’s been proven in on-road trucking, agricultural and heavy equipment applications for many years (most recently in full-sized wheel loaders and bulldozers). Many landscapers and compact equipment owners will get their first taste of the technology as Case introduces the industry’s first skid steers with SCR at World of Concrete 2015. As more equipment earns the Tier 4 Final designation, SCR will become more commonplace — even in equipment with a smaller footprint where it was not previously seen as practical due to space limitations. Here are a few advantages made possible by the integration of SCR into skid steers. SCR technology can be maintenance free, depending on fueling practices and the style of SCR solution implemented in each machine (SCR-only vs. SCR with diesel particulate filter (DPF)). 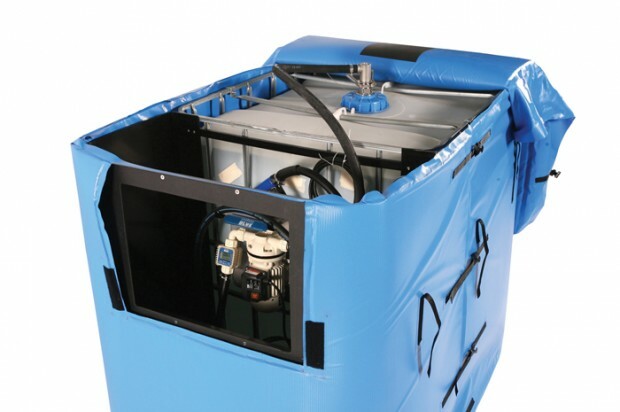 Owners of SCR-only models who make it a point to top off their diesel exhaust fluid (DEF) tank at the same time they fill up their fuel tank will find that there is no other applicable maintenance related to the Tier 4 Final system. This is compared to SCR systems with a DPF, and cooled exhaust gas recirculation (CEGR) systems with a DPF, where lifetime filter maintenance is required. This can be particularly beneficial to skid steer applications where there are often numerous operators running the machine throughout the day. Simplifying related maintenance activities through the design of the system helps reduce confusion among operators. If operators are trained from Day 1 to top off the DEF tank when they refuel, that’s the only Tier 4 Final-related maintenance they’ll need to know — and it takes no more time out of their day. SCR is an after-treatment solution that treats the diesel exhaust with DEF on its way out of the engine, turning that exhaust into nitrogen and water — which occur naturally in the atmosphere. This aftertreatment of the exhaust allows the engine to breathe more freely and put all of its power towards working effort. This differs from systems that include a DPF, where power from the engine is used to burn off the accumulated particulate matter in the DPF — a non-productive activity. This also helps improve fuel efficiency, as the engine is only consuming as much diesel as is required to perform the primary functions of the machine vs. also consuming additional fuel to meet the needs of the DPF. Skid steer owners that operate in high-debris areas, paper mills or agricultural operations with combustible material, work to keep operating temperatures as low as possible. Systems with a DPF require elevated engine temperatures to burn off the accumulated particulate matter. Those elevated temperatures can be problematic when working in close quarters with combustible material. SCR helps keep those temperatures down. Another benefit of the lower operating temperatures is extended engine and component life. Heat leads to wear and degradation. By keeping the average engine temperature lower over the life of the machine, engine components and surrounding systems may experience less wear. Skid steers represent one of the final earthmoving frontiers for SCR technology. It is a different system than skid steer owners have grown accustomed to, but DEF is now widely available throughout North America and the hands-on maintenance of the system is minimal. Make topping off the DEF tank part of regular refueling practices — and the only thing the operator will notice is efficiency. Warren Anderson is a brand marketing manager for Case Construction Equipment, based in Racine, Wis.